A portrait of life at sea, focusing especially on the merchant marine. Covers everything from how ships are registered under flags (seemingly obscure and pedantic but bizarrely interesting to a curious geek like me), to the effect of big ships on whales, to pirate attacks and kidnappings. 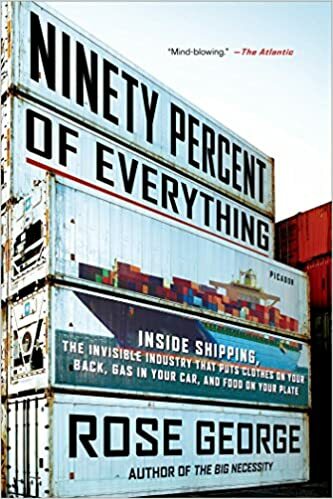 This book was beautifully written, but unfortunately it did not provide much insight into the shipping industry, as was promised in the subtitle. It was more of a literary sketch of what life is like for the crew of a cargo ship, with some detours into related side issues. Not recommended as part of a course on industrial history, but perhaps for those who simply enjoy good writing and learning about industries and lifestyles they don’t normally get to see.